​Our amazing Broadbeach gallery in Oasis Shopping Centre offers a fantastic space to showcase all our beautiful products. Featuring in our gallery is the exclusive Scotch and Soda fashion label – Maison Scotch offers the best in Amsterdam couture. 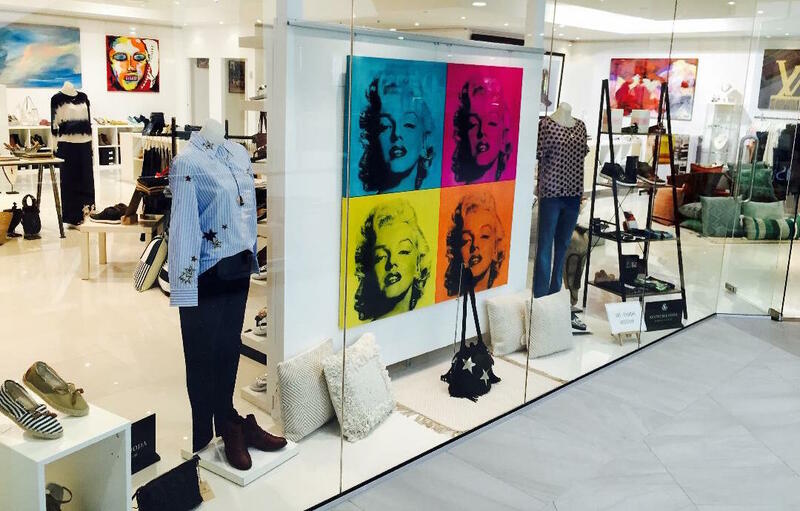 Flynn Gallery showcases some of the best designer labels to suit the amazing Gold Coast lifestyle. Our art gallery offers the ultimate retail experience incorporating fashion, shoes, handbags - including vintage washed leather handbags and wallets plus French designer jewellery. Team this with interesting African artefacts and a unique range of homewares, you will get some idea of the diversity of our gallery. Feature pieces from Scotch & Soda include this reversible silky jacket and matching blouse will add a touch of sophistication to your wardrobe. Leopard print dominates the fashion this season. Styles include comfy low heels and winter boots. Exclusive range of women's fashion inspired by 1960's and 1970's style from Emily and Fin. Photographic exhibition from local artist now featuring in store at Flynn Gallery. Exhibition includes large selection of local Gold Coast beach prints ideal for your beachside apartment. Flynn Gallery is exhibiting selected pieces of collectable Indigenous Art from the Western Desert at greatly reduced prices. Artwork comes with authenticity certificate from the Artist.